Technology Timeout: There's an app for that? 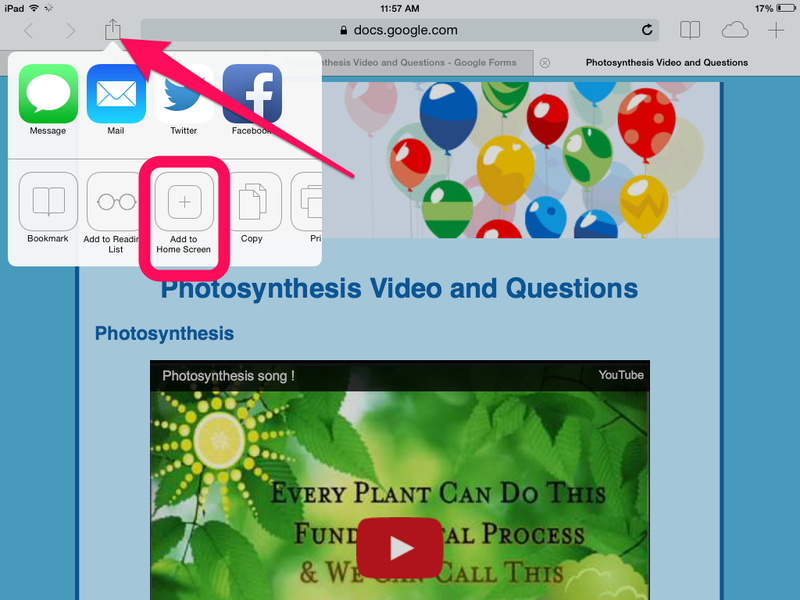 I'm linking up [again] with Teaching Trio's Technology Thursday! Do you ever wish all websites would jump on the App wagon and turn their amazing content into an easy-to-use-on-the-iPad-app? Well, not every company has gone this route, yet their website is still functional (and effective) to use in your classroom. 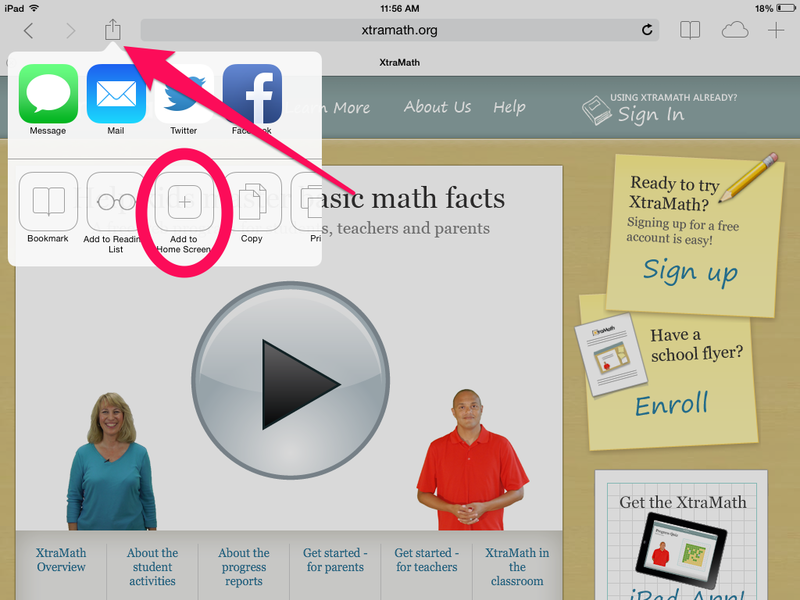 Rather than having students remember to input a long web address, did you know you can create a 'button' on the iPad that takes them directly there? Open Safari and go to any website you want students to visit regularly. 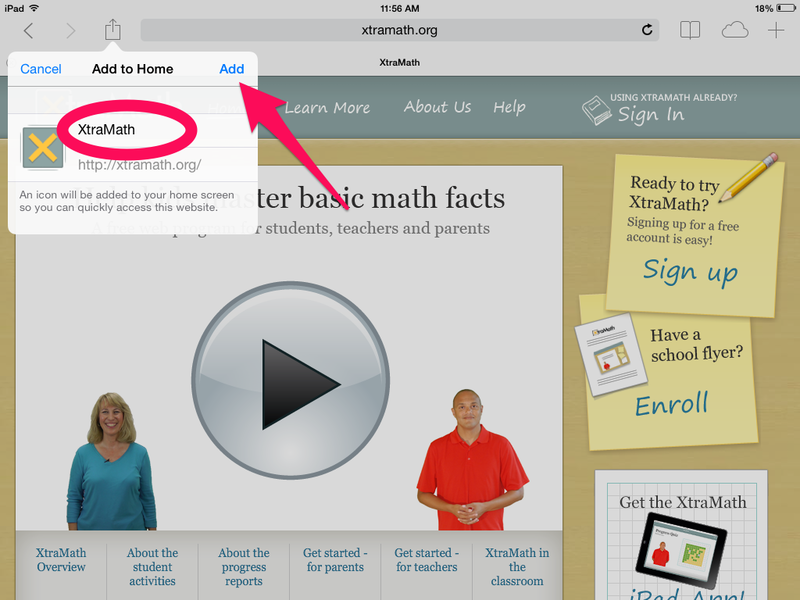 One of my favorites from my classroom was xtramath.org (no, xtramath doesn't pay me to say this. I really used this in my room to help students solidify their basic calculation skills. Best of all - its free!). To the left of the web address bar you see a tiny square with an arrow pointing up. Tap this square, and you are given options. Among those options are 'Add to Home Screen'. Touch this option. You see a new area that will allow you to change the name of the Home Screen button. Usually this is a pretty good name by default, but you have the option to change it. Then touch 'Add'. There is your new Home Screen 'app'. It is also awesome for Google Forms! 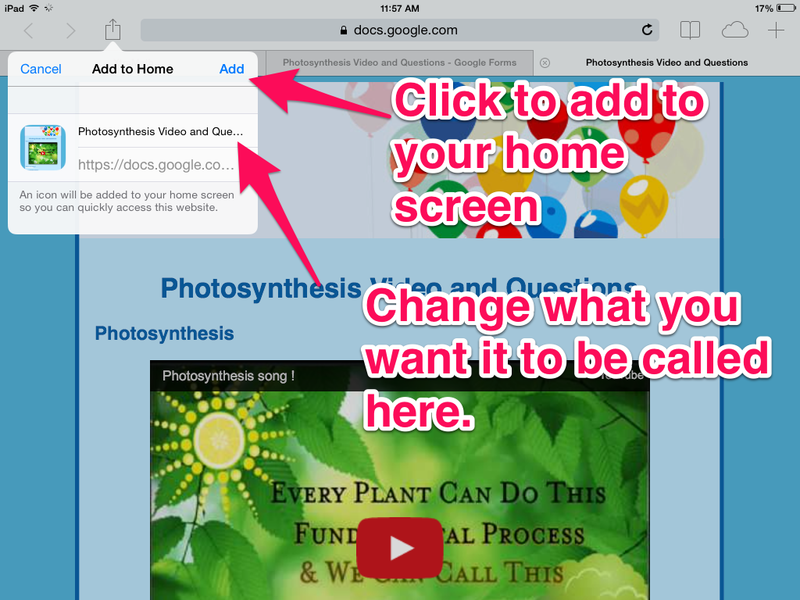 Open your form up in Safari (if your iPad struggles a bit like mine, use the Google Drive app to open it in Safari). 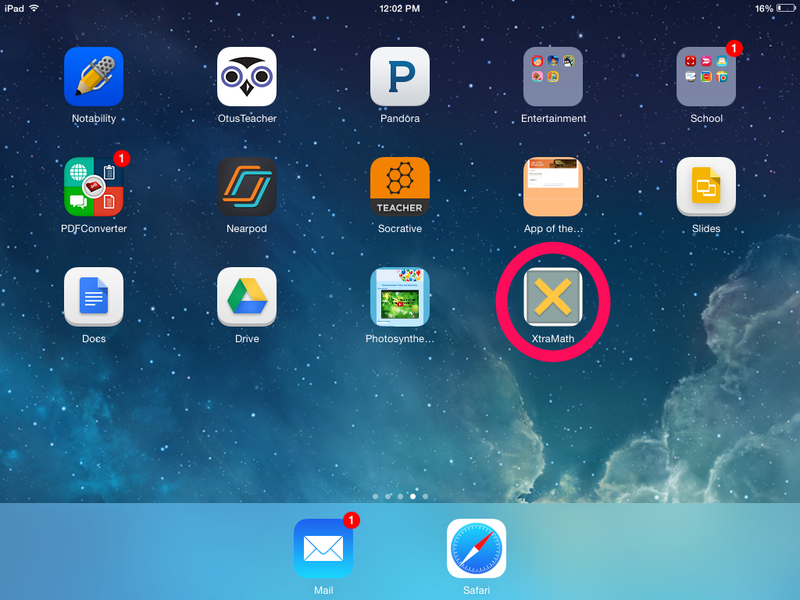 Follow the same steps as above, touching the square with the up arrow and 'Add to Home Screen'. Change the name if you would like. Then enjoy your new button! I can see this being wonderful for those of you that use google forms for classroom quizzes. Simply make each separate quiz its own button, then drop all of the quizzes in their own folder. 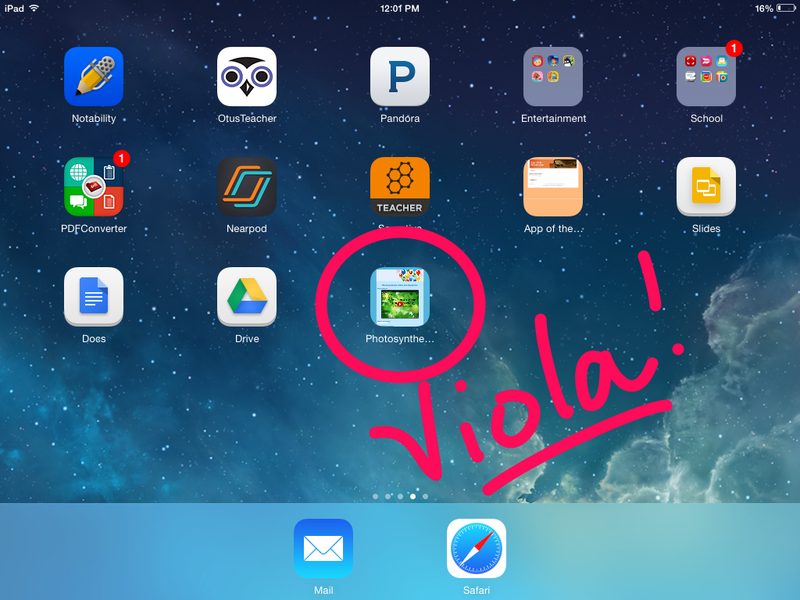 Then, as students are ready to take the quizzes (whether it is after reading chapters after a book, or completing quizzes after math lessons), they go in the iPad 'folder', take the quiz and turn it in. Great tip! I plan on checking out xtramath. Sounds very useful.